Dear marketing genius behind Hell’s pizza: you’v stolen a pizza my heart. Hell’s pizza has always been my favourite fast food option for two reasons. One: their menu allows you to create your own personalised pizza and two: they’re punny as hell (see what I did there?)! As of lately, I have another reason to love Hell. They’ve introduced dairy and soy free mozzarella! That’s right, you can now enjoy a completely plant-based pizza! Which basically means (and I am speaking from experience here) you can gorge on pizza and roughly receive the same amount of nutritional value and calories as you would from a salad (don’t quote me on this). But it won’t taste like salad it’ll taste like pizza (well, duh); a guilt-free salad pizza- okay, I think you get the picture. I tried the Damned pizza minus the camembert on thin base: onions, mushrooms, fresh spinach, cashews, avocado, sundried tomatoes and jalapeños with dairy-free Mozzarella. Oh mama-mia it was mouthwateringly delicious. What’s peculiar is that we ordered two other regular pizzas with regular cheese and everyone in my family liked the dairy-free pizza the best! In fact, after taking her first bite mum made a loud “mmmmm” sound followed by: “you can taste how much healthier this one is” – don’t let that turn you off, believe it or not, healthy doesn’t always mean tasteless! 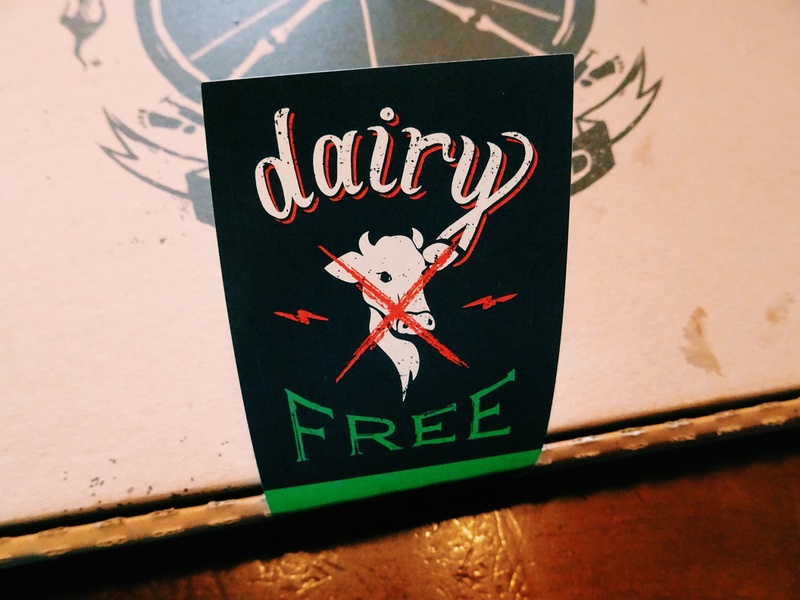 So, if you’re craving a pizza and let’s be honest who isn’t, go to Hell (makes me laugh every time) and order a dairy-free vegetarian pizza! The box cheekily suggests you “dispose of the evidence” but I don’t quite believe the same advice applies when a pizza is so damn nutritious (get it? )!